The Aerial Photographic Archive for Archaeology in the Middle East was established in 1978 by Professor David Kennedy under the patronage of Prince Hassan bin Talal of Jordan. The archive now consists of over 91,000 photographs and several hundred maps of a dozen countries. The vast majority of this material can be viewed online in our digital archive at Flickr. The greater part of the archive consists of aerial photographs of archaeological sites and landscapes in Jordan taken during flying seasons of the Aerial Archaeology in Jordan (AAJ) project. Like APAAME, this project is currently based at The University of Western Australia and The University of Oxford, and has operated annual (and occasionally biannual) fieldwork programmes in Jordan since 1997. AAJ owes much to the enthusiastic patronage of His Royal Highness Prince Al-Hassan and the generous support of His Royal Highness Major General Prince Feisal bin Hussein. 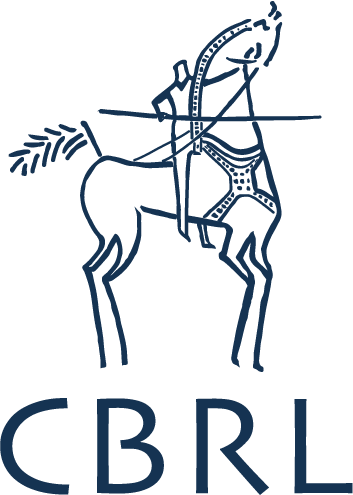 The project is affiliated with the Council for British Research in the Levant. The archive also includes 4000 film diapositives of the 1953 Hunting Aerial Survey sorties, which are not yet available to view in our online archive. These high resolution vertical black and white photographs (at approximately 1:25 000 scale) are an important record of western Jordan prior to much modern development, and are available on request. 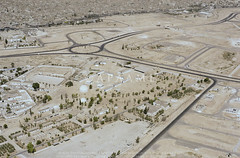 An increasingly important part of APAAME is our growing collection of historic aerial photographs. Taken primarily by the Air Forces (and their predecessors) of the United Kingdom, Germany, France and Australia throughout the first half of the 20th century, these images preserve important records of Middle Eastern archaeological sites and whole landscapes now dramatically altered. The digitisation of historical collections of aerial photographs has entered a new phase in cooperation with the Endangered Archaeology of the Middle East and North Africa (EAMENA) Project. The first collection digitised through this collaboration was the Sir M. Aurel Stein aerial photographs held by The British Academy. If you have historical aerial photograph collections that may be of interest to us, or would like us to act as a portal to your collection, please contact us. Finally, APAAME now encompasses the research and interpretation of archaeological sites throughout the Middle East that are visible as a result of high resolution satellite imagery used in virtual globes and maps - principally Google Earth, but also increasingly Bing Maps. While most of this research will eventually be published in academic articles and books, in progress interpretation and updates are frequently published on this blog.